I have lived in Deerhurst since 1987. I knew the village was at risk of flooding even before I decided to buy a house here and that houses had last flooded in 1947, but that didn’t put me off. There were already some community flood defences installed after the 1947 flood, to which the Environment Agency made improvements in 2000, and which had served us well. That was until 2007 when those defences were overwhelmed. I can recall monsoon like rain on the Friday but it took until the Sunday before it impacted our village. They were floods like no-one had seen before, 18 houses were flooded including my own. It was horrible, flood water came into the village, was trapped and had to be pumped out. It took 10 days to get rid of the water completely and it left behind devastation. The whole community was in shock. We called a village meeting to discuss what to do and members of the community put forward ideas to address the issue of flooding. 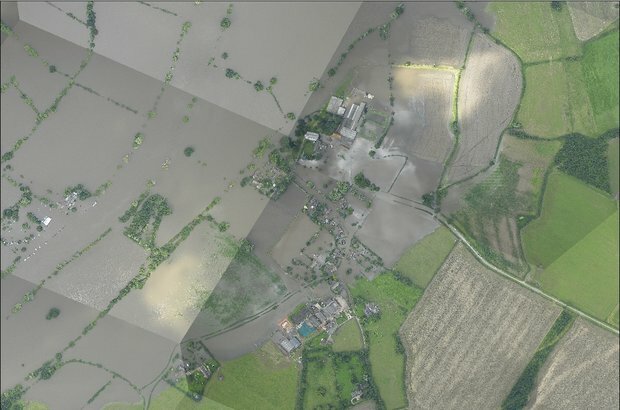 It was important to us that our solution wasn’t just a reaction to this flood, but would protect against future flooding and the impact of climate change. We formed Deerhurst Community Preservation (DCP) to look at flood issues, with me acting as the Chairman. Shortly afterwards we met with the Environment Agency to discuss flood risk in Deerhurst. 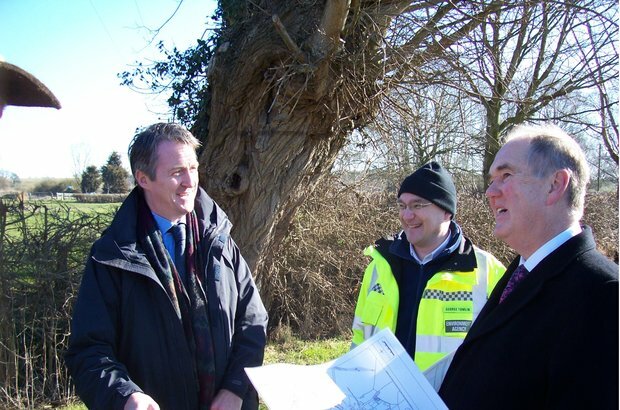 They listened to our concerns and we explained that we were keen to get plans moving for new flood defences. Anthony Perry, the Area Flood Risk Manager, was at this meeting. He was from the start, and continues to be, a good friend of Deerhurst. There were lots of challenges along the way. Agreements had to be made between the Environment Agency and the community about flood defence design, project delivery, ongoing ownership and funding the scheme. When the Environment Agency went out to consult on the design, it was DCP’s responsibility to get the village on board and in agreement. We also contributed £50,000 to the £450,000 project and sourced the clay for the embankments – we managed to get this from some local housing developers who had dug it out and didn’t want it! We then handed over to George Tomlin, Flood Risk Advisor, and the rest of the Environment Agency team to carry out the construction phase. The flood defence scheme consists of an embankment and gates around the edge of the village, and a pumping station. The banks hold back the river water and the pumps reduce the risk of any groundwater flooding. The Environment Agency owns and maintains the flood defence (banks and gates) but their operation is the responsibility of DCP. The gates are operated by flood wardens. These are people from the village who know the area well and their experience and training tells them when they need to close the gates. Flooding is such a horrible thing to experience. After 2007 the people of Deerhurst didn’t want to think or talk about it. Every time it rained they were edgy and nervous, and now that’s gone. The village has always had a flood defence, but created in a piecemeal manner and to an inconsistent height and of inconsistent materials. Now we have great confidence in these new defences because they have been holistically designed and constructed to a consistent height and of consistent materials. It was such a relief to see them protect the village so comprehensively during the floods in 2012.